Hoof Pressed Foundation™ provides full coverage with ease and convenience. Rich in antioxidants, this foundation benefits the skin while shielding it from the sun. This foundation is made with the purest of ingredients and is paraben free. If our horses could, they would stamp this product with their approval. Never be without foundation while you are on the go. 9gram compact. Comes with an applicator sponge. Comes in cool, neutral, and warm tones. Can be used in combination with Rio Grande Liquid Foundation™™. Colors are interchangeable with Rio Grande Liquid Foundation™ and Vaquera Mineral Foundation™. Try a sample of the Vaquera Mineral Foundation™ to find the perfect shade of Hoof Pressed Foundation for your skin tone. Loving this foundation! 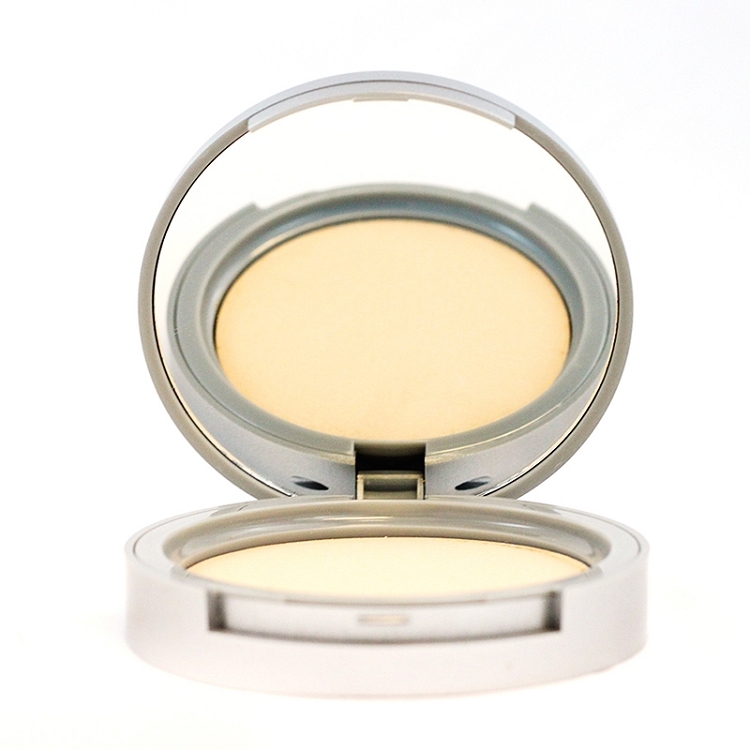 It's so much quicker and cleaner to apply than the loose powder and still has the same great coverage and light feel. As advertised. A pressed foundation. When used with applicator, really provides a significant level of coverage. I prefer a lighter cover, so I switched to applying with a brush. Great multi-task product; color was consistent with the Vaquero Mineral Foundation colors. I’ve used nearly all of the department store and the drug store brands of a powder like this, and this one is by far, the best!! It offers great coverage and I love the way it sets on my skin. I’m so glad I found this company! Love love this. I use it as a light foundation and my skin looks ten years younger. I love the way it goes on so lightly. Great job, CD! Thanks for the pure ingredients! Create the perfect all day look on the go with these natural ingredients. Zinc Oxide-This natural UVA and UVB protection helps keep your skin healthy and protects against damage from free radicals. Titanium Dioxide- This natural ingredient helps keep your skin protected from the sun and is gentle enough for all skin types. Sweet Almond Oil- This super enhanced oil provides your cells with nourishment to enhance the look and feel of your skin. 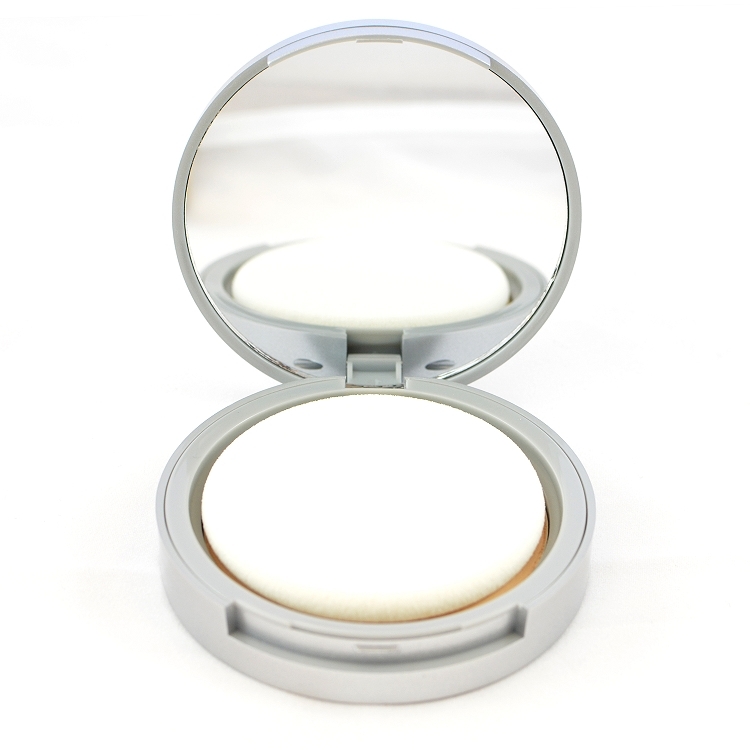 Apply a thin coat of Pressed Foundation onto the application sponge. Starting at the center locations of your face (middle of forehead, nose, cheeks) and work out toward the perimeter of your face, apply the foundation in a swirling motion. Keep applying the foundation until you have reached the desired coverage you are looking for. For a lighter application, apply the pressed foundation with the Large Foundation Brush. Not all tones (warm, neutral, and cool) come in all shades. The warm tones come in all light shade (W1, W2, and W3). The cool tones come in all darker shades (C4, C5, and C6). The neutral tones have both light (N2 and N3) and a dark shade (N5). No matter what your skin tone, our specially formulated Pressed Foundation can help to complete your look. 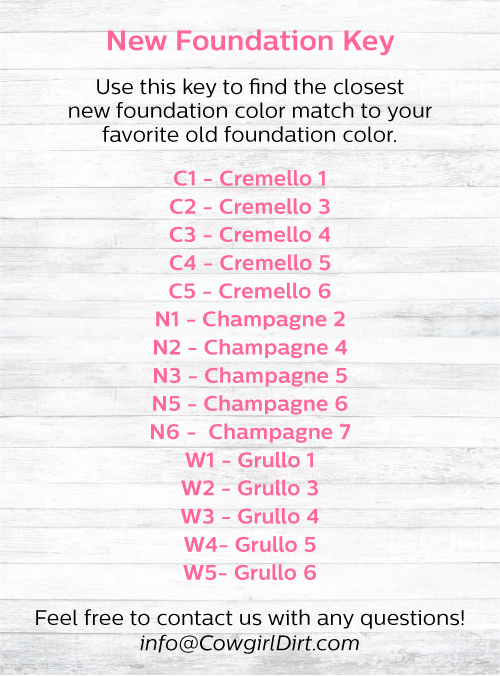 Q: When should I use the Hoof Pressed Foundation™ as opposed to the Vaquera Mineral Foundation™? A. 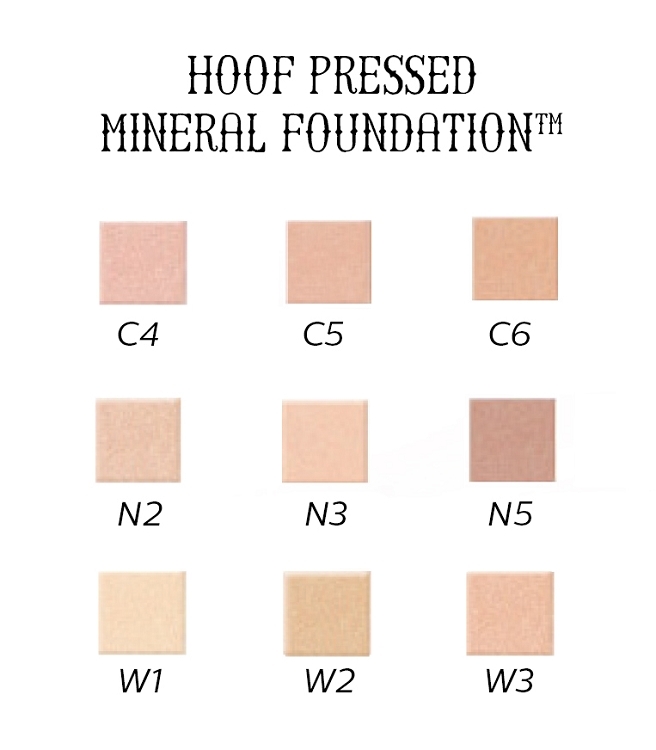 The Hoof Pressed Foundation™ provides a great on the go alternative to the loose mineral foundation. It is perfect to just throw in your purse and not have to worry about it holding up. It also provides a stronger coverage than the Vaquera Mineral Foundation™, especially if used with included sponge. Copyright Cowgirl Dirt. All Rights Reserved. eCommerce Software by 3dcart.